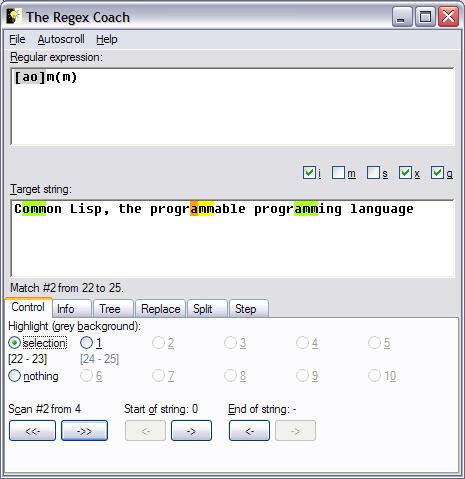 The Regex Coach is a popular freeware Windows/Linux application that can be used to experiment interactively with regular expressions. Since its first release in April 2004 it has been downloaded more than 200,000 times and it was also distributed on CD with several IT magazines. Due to LispWorks' CAPI GUI toolkit Windows and Linux executables can be delivered with identical source code. The dynamic nature of Common Lisp means that the Regex Coach can query an existing regular expression engine (CL-PPCRE, also written in Common Lisp) while it is working, without the need to alter its code.